So I published a theological reflection on Batman vs Superman a couple of weeks ago, but since then I have been somewhat troubled. My intention in that reflection was to discuss the ideas of power and idolatry raised in the Man of Steel / BvS movies. I still find the discussion interesting; but that does not mean the movie is any good. 1. Why does Superman hate being super and saving people? 2. Wouldn't be more interesting to have the super heroes "versing" each other, to use one of Linus' phrases, have different personalities? Like Batman can be dark and brooding, fine; so shouldn't Superman have a different personality then? 3. I get Batman and Luthor both having concerns over Superman's power. But for Superman and Batman to become buddies at the end just because both of their mothers' names were Martha is beyond stupid. 4. Why would Batman go to all the trouble of stealing kryptonite, make a spear with it to fight against Superman, only to throw it away at the end? Wouldn't you keep it in case Superman turns evil? Or if other Kryptonians show up? 5. And how does Lois know where he dropped it? How does she know to go get it? 6. How did Lex know to create Doomsday? A final word. I am no film director, screen writer, whatever. I get that. But I'll say this as a fundamental story telling element: if the writer, director, storyteller does not believe in, or even like, the subject of the book/movie/play/project, it will fail. There's no way around it. It is obvious to just about everyone who has seen Man of Steel and BvS that Zack Snyder does not like Superman. And he's signed on to direct a two-part League of Justice movie that just began shooting. You know Superman will be resurrected somehow for that. Better start hitting those comics, guys. Watch Christopher Reeve in the Richard Donner Superman movies. Better yet: bring him on as a consultant. Fall in love with Superman. I did. He's worthy. Christy and I saw Eye in the Sky on an impromptu date night a week or so ago. The great Helen Mirren stars, and it was the last film of the recently departed Alan Rickman. Wow, what a career. Anyway, this movie is a very thoughtful portrayal of the real struggle to deal with the global threat of terrorism. Drone strikes have been a major facet of the so-called "War on Terror," and the moral questions raised are significant. Specifically this is the story of a mission to eliminate Islamic radicals in Kenya who are meeting in someone's home, about to execute another suicide bombing. Mirren plays an officer in the British military. It's her operation. She is coordinating with Alan Rickman, a colonel, her superior, who is meeting in another location with British political leaders. Part of the operation are American drone pilots, stationed in Nevada, controlling the machine capable of bombing targets from the air. Deploying soldiers into the operations zone is not an option, as it would almost certainly fail and would cost many more lives. Everyone is glued to their screens thousands of miles away from Kenya. There are constant calls to "higher ups" to get authorization, another opinion, or to make sure the operation is in keeping with the law and approved procedures. Things are especially complicated because some of the targets are British citizens. The movie is very tense and gives a very human view of the struggles of war: political, moral, emotional. 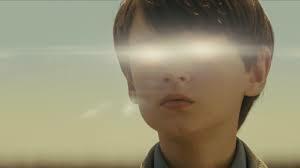 Midnight Special is a sci-fi movie in the mold of Close Encounters of the Third Kind. 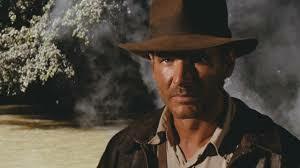 There are very few special effects, and what effects there are contribute, rather than dominate, the story. This is a movie about a boy who has incredible powers. He is raised by a cult, which worships the child and his abilities. The boy's father takes him from the compound, and the sect issues an Amber alert. Just as father and son leave, the FBI raids the compound, inspecting it for stockpiles of weapons and secret satellite codes, which the boy somehow discovers and shares with the group. The cult regards the codes as signs from God and they even become subject matter for sermons. How random numbers could be ascribed this kind of meaning is a mystery to me, but ok. The movie is good, not great, and I had a few questions afterward. Not the kind I had above-- but I needed a little more help connecting the dots here and there. Midnight Special has an excellent cast, and is directed by Jeff Nichols, who also directed one of the best films of 2012, Mud. But the movie I would really look out for is one I saw for the billionth time, but the first time on screen (well, in an indoor cinema, at least) since I was a kid. It's really not fair to compare Raiders to anything; it's the best. Period. The Empire Strikes Back, The Dark Knight, Star Wars, The Godfather... you order them any way you like. Getting to see this on screen a couple of weeks ago was a real treat. Thinking of these all time greats makes me want to host a moviethon in our special movie watching place before our move to Sherman!